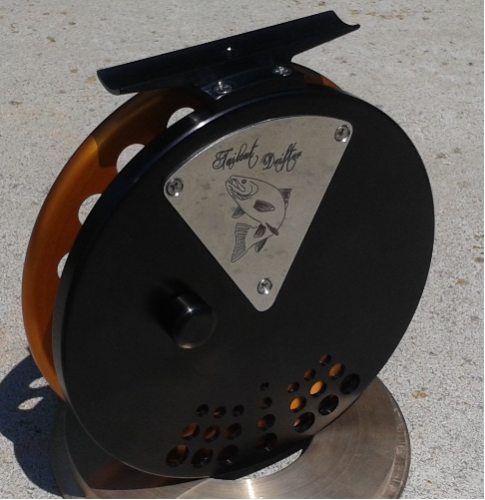 The Tailout Drifter II is reminicent of our early float reels made back in the '90's. Updated with an all-machined foot, nested handles, and ABEC 7 stainless steel bearings. 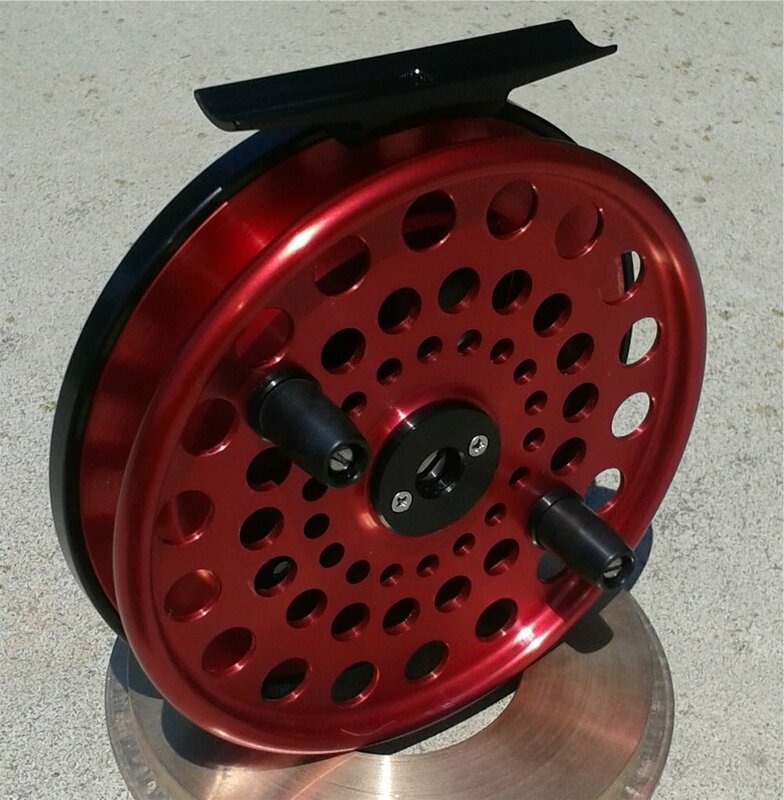 The reel is machined from 6061T6 aluminum and stainless steel. The body and spools are anodized for long lasting durability. The clicker is activated by a slide knob on the back making it easy for right and left handed users alike. The spool has a nicely rounded outside rim for smooth hand braking, a feature common to all our reels. Custom optional handles are available, please contact us for details. Colours: Black, red, blue, green, pewter, orange, purple, bronze, and hot pink! Price: $550.00 Canadian, shipping extra.